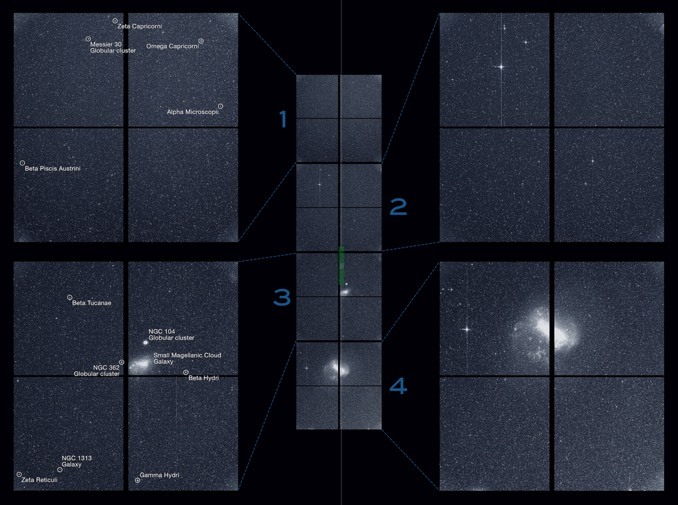 NASA’s exoplanet-hunting TESS spacecraft, launched 18 April, has captured razor-sharp first-light images from all four of its 16.8-megapixel cameras, covering a 24-degree-wide strip of sky from the celestial equator to the southern pole. TESS is designed to monitor starlight across 85 percent of the sky, on the lookout for the tell-tale dimming that occurs when a planet moves in front of its sun as viewed from Earth. The four wide-angle digital cameras at the heart of the mission, built at MIT’s Lincoln Laboratory in Massachusetts, are arranged to capture 24-degree-wide squares stretching from the equator to the celestial poles. It will take the spacecraft 27 days to image a single “observation sector” stretching across 96 degrees. When one sector is complete, TESS will aim itself at the next sector and spend another 27 days collecting another 96-degree-long strip. 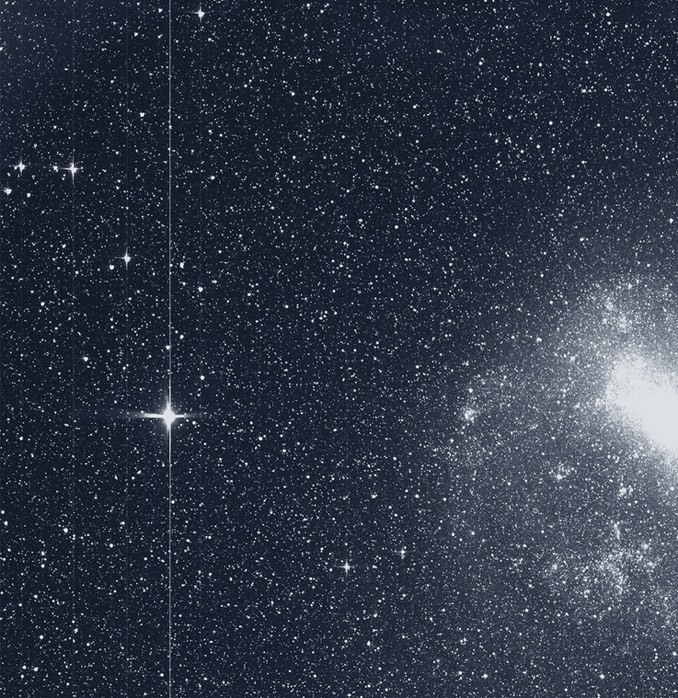 During each 27-day period, TESS will monitor the brightness of every star visible in all four cameras every half hour. Every two minutes, some 15,000 pre-selected stars in each sector will be monitored for signs of orbiting exoplanets. The first year of science operations will be devoted to imaging the 13 sectors needed to map the southern sky. TESS then will repeat the procedure to study stars in the northern sky. Tess is an advanced follow-on to NASA’s Kepler mission, which found more than 2,300 confirmed exoplanets and another 2,200 candidates during its initial mission and another 325 worlds during extended observations. Kepler’s targets were stars 300 to 3,000 light years away. In contrast, TESS will concentrate on stars between 30 and 300 light years away that are 30 to 100 times brighter than those monitored by Kepler. 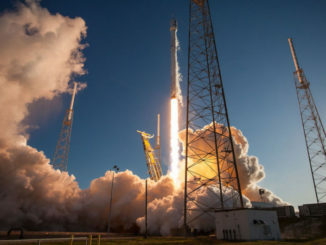 By targeting brighter nearby stars, the TESS researchers hope to identify targets for future spectroscopic analysis by the James Webb Space Telescope and other instruments to determine the atmospheric composition of detected exoplanets, along with their masses and densities. 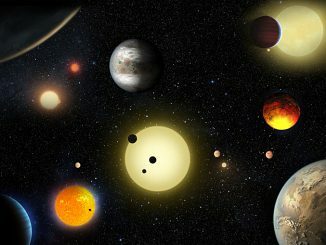 NASA’s Kepler mission has verified 1,284 new planets — the single largest finding of planets to date. 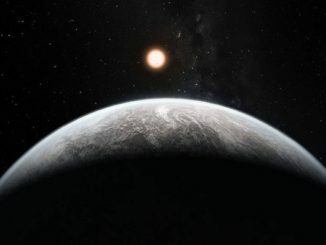 Of the nearly 5,000 total planet candidates found to date, more than 3,200 now have been verified, and 2,325 of these were discovered by the space telescope. Launched in March 2009, Kepler is the first NASA mission to find potentially habitable Earth-size planets.